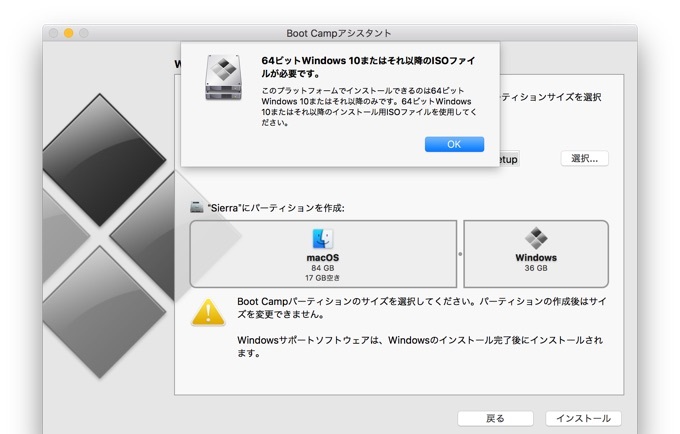 macOS 10.12 Sierraを搭載したMacのBoot CampはWindows 10のみ新規インストールとしてサポート。 | AAPL Ch. 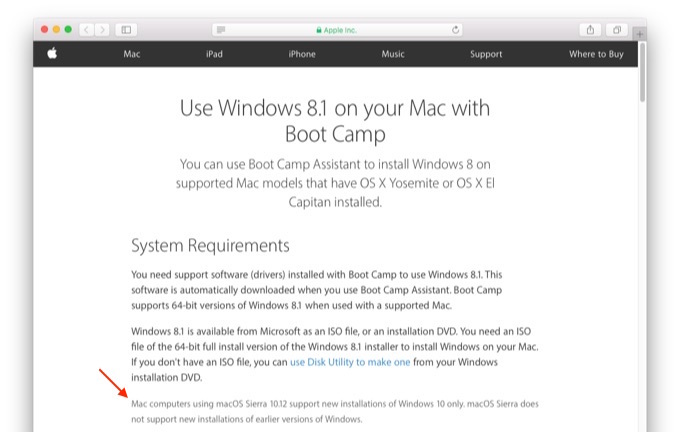 Mac computers using macOS Sierra 10.12 support new installations of Windows 10 only. macOS Sierra does not support new installations of earlier versions of Windows.